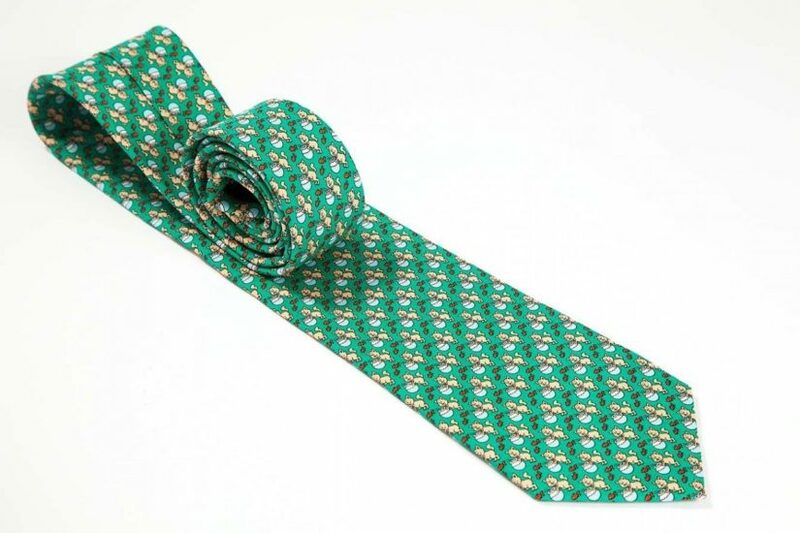 Thinking of rocking your trusty old rotation of ties again this year? Why not break in 2018 with a new you, beginning with a fresh new look on your formal or professional wear. 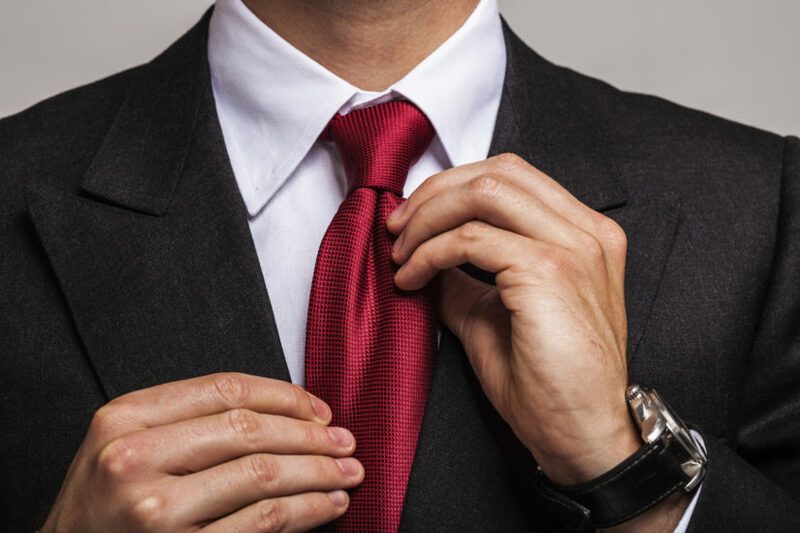 By adding some new ties to your wardrobe, you can give your formal wear a facelift, without a big investment in clothes. And if you’re one of the many who has their go-to tie for every holiday, you can use your sensational new centerpieces to jazz up your favorite holiday outfits. To help you break in the New Year with style, we’ve listed some ties you need to say goodbye to, and a few easy tips on rebuilding your tie rotation for a stellar new you. Ties with nicks or stains. 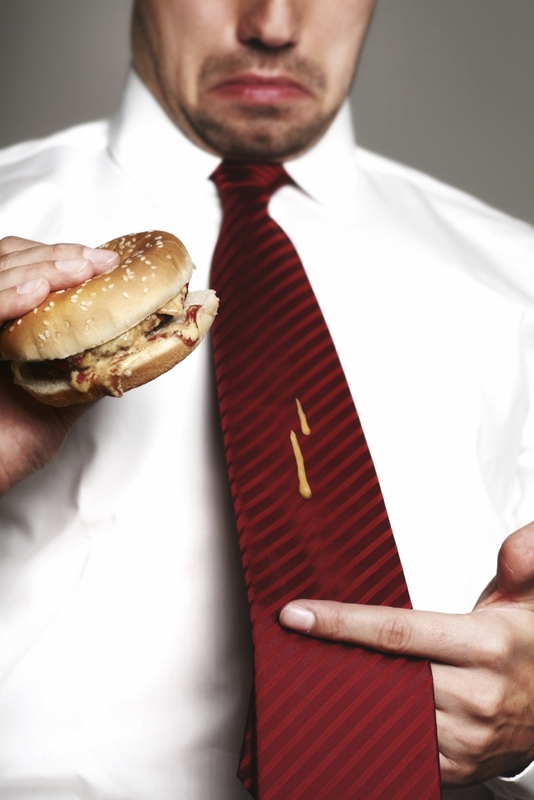 Think that nobody notices the stubborn dressing stain on your red tie? Think again. Ties that don’t fit. Remember, the small end should go through the back loop and the large end should touch the tip of your belt. If you can’t make that happen with a tie, get rid of it. Ties more than five years old. Still wearing the same super wide ties from high school? If so, those fat ties with flamingos may have impressed your prom date, but they’re definitely not impressing your colleagues. The Nemesis Tie. We all have one—the tie that your girlfriend hates or the running joke at the office that you don’t know about. No matter how much you love the tie, come to grips with the facts and chuck it in the donation bin. Get personal. The best-dressed men these days will tell you that their outfits are an extension of their personalities. Look for ties with interesting patterns and color schemes that speak to your personality traits. For example, Squiddledee Ties makes a variety of ties that are specially designed to flow with different personality types. From their playful Bloom No. 18 to their deceptive “Wolf in Sheep’s Clothing,” Squiddledee Ties are the sophisticated way to express yourself with your formal wear. And unlike the ties you’ll find at the department store, Squiddledee Ties are made right here in the U.S. with 100 percent imported silk, for superior quality that’s sure to get you noticed. Check your clothes for color trends. As guys, we all tend to have two or three main colors we gravitate toward. When you go shopping for ties, look for ties in colors that complement your favorite colors. For example, if you have a shirt with light blue stripes, go for a tie with light blue stripes. Or if you wear a lot of neutral colored shirts, go with a flashy statement tie in a complementing color. Try the trends. Trends instantly set a tone of coolness everywhere you go. They say a diamond is forever, but so is a great photo on Facebook of you rocking a silk tie with a unique pattern. Get out of your comfort zone and be sure to make at least two on-trend purchases. Once you’ve rebuilt your tie rotation, you’ll see why it was more than worth the effort. For more tips on men’s style and to shop our fabulous ties, click Squiddledee Ties.